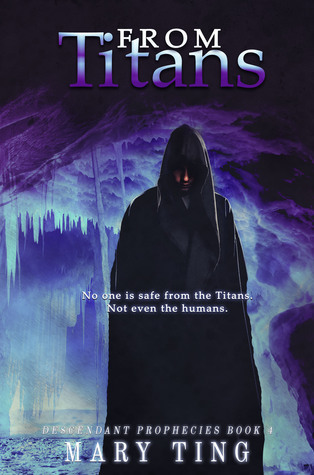 The Titans possess power more than anyone anticipated, and Cronus is hungry for revenge after his own children locked him up in Tartarus. “We have to go,” Nick stated. “We have to prepare ourselves. We could be walking into a trap,” Zara said. “We’re not going. We can’t give her the satisfaction of thinking she bested us all,” Zeus countered fiercely. “Don’t be ridiculous, brother,” Hades retorted, draping his arm around Persephone. “Cronus could be waiting for us to take his revenge,” Poseidon added. Then everyone’s shouts blended into one as the walls closed in on me. “I’m going. No one is going to stop me,” Amanda muttered. “Me too,” Everett said sternly. The voices became nothing but murmurs lost in my head. As the room began to spin, white dots flashed before my eyes. Icy chills rushed through me, and everything went dark. nternational Bestselling, Award-Winning, Author Mary Ting/M. Clarke resides in Southern California with her husband and two children. She enjoys oil painting and making jewelry. Writing her first novel, Crossroads Saga, happened by chance. It was a way to grieve the death of her beloved grandmother, and inspired by a dream she once had as a young girl. When she started reading new adult novels, she fell in love with the genre. It was the reason she had to write one-Something Great.